Film industry accessory manufacturer Cinoflex was recently tasked with rigging up a new Sony a7S mirrorless camera for use on a Chevrolet commercial. After some testing, the Cinoflex Type SA7S Camera System was created to allow the filmmakers to attach the necessary range of auxiliary equipment needed on a high budget commercial shoot. The a7S features a full-frame sensor which is much larger than the Super 35 sized sensors found in typical high-end digital video cameras like the Red Epic or the Arri Alexa, two of the cameras that you would normally expect to find on such a project. The larger sensor, coupled with the low 12.2MP pixel count, gives the a7S excellent low light performance, a claimed 15.3 stop dynamic range and a maximum ISO setting of 409,600. 'Our specific tests we're focused on lens fall-off and sensor reaction. The dynamic range was also very surprising, great tonal rendition in the shadows...Truly a WOW camera for the quality of the sensor' said Cinoflex. Whilst Sony designed the 4K capable a7S with video in mind, there's always considerable ergonomic challenges to overcome when you want to incorporate such a small camera into a professional shoot. The Type SA7S rig creates a solid platform behind the camera that has allowed Cinoflex to add a large Anton Bauer battery pack, as well as wireless controls for focusing the enormous Nikon 600mm f/4 lens. Since the a7S only features an HDMI output for the video feed, and most professional on-set equipment uses HD-SDI, the rig is also fitted with an HDMI to HD-SDI converter. If nothing the Cinoflex seems to be a lightning rod for discussion. Philip Bloom is also using A7s/F55 combo to shoot a 13 part documentary (for CNN?) that will be shot in dozens of countries. Another article about Sony, lots of people complaining. C'mon dpreview, give us another Canon/Nikon article so people can praise it. I've been through two bags of popcorn already reading the replies and they just keep coming! The gear set-up in the photo says it all: the camera body itself is a tiny, tiny component of what is involved in industrial-grade video productions. There is a geometric increase in direct cost and post-production investment to obtain smaller and smaller quotients of quality. Those tiny quotients may make a difference in public response to a 10-second TV spot for Chevy. It's a surprise, though, that a firm would bother with a cumbersome jerry-rig with an a7s, given that there are quite a number of excellent professional video cameras pre-built with good controls, filters, and so on. Is Sony cannibalizing its own sales of such gear? Another question: why prefer an a7s for an automobile ad? The rolling shutter problem, exacerbated by the feed from the large sensor, might make the Chevys look rubbery as they drive by. Or maybe most of the ad will use those (now ubiquitous) slider and jib shots. You're missing the point on why a company would go the distance. Business opportunity. BTW, comment on video quality only after you have seen the results. Love them or hate them, the best thing that Sony are doing for the camera market is making it interesting again. Plenty of innovation, admittedly some of it questionable, but really trying new things and getting a debate going... like this one for example... just a simply news story about a Sony body used to film one commercial and nearly 200 comments already... if only Canikon could create this much debate or much needed interest in a market that is sadly shrinking for all brands. I agree. Canon pioneered this market but has gotten annoyingly lazy in making it better or pushing the envelope. Panasonic's GH series and now Sony's A7s have created new possibilities. Innovation benefits us all. It's not the manufacturer, who makes Internet discussions. The people debating are responsible. Simply put: C and N make stuff for shooting. It's not very fascinating and they don't spend much on marketing. People just buy the cameras and use them. Sony relies on marketing and they have a huge group of "fan-boys" to exploit. Years go by and we get better sensors all the time. Sometimes the 1st place was for Nikon, sometimes for Canon. Sometimes a newly released sensor offered a relatively larger step forward than the A7S (moving from Nikon D4). This is the first time a Sony camera leads the race and we suddenly have all this silly discussions about filming black cars in a cave. We must also remember, that many Sony fans are not photographers, but e.g. smartphone/playstation users, who praise their favourite logo. In few months (maybe days?) another camera will surpass A7S. What will happen then? Massive suicides of people, who bought A7S for high ISO but use it with Nikon lens? "... they don't spend much on marketing"
Not sure under which rock you've been living, but they spend a multitude on marketing compared to Sony's imaging division. They rely heavily on primetime commercials and ads. And in a way the money they spend on shelves space in large retail stores could be considered marketing too. There is no point in splitting advertising costs between divisions. You always build the brand as a whole. E.g. fridges of all companies are similar and it is well known that people choose them based on the logo and the looks (in that order). That's why you'll see many fridge commercials from BEKO or Indesit (who concentrate on home appliance), but not so many from LG or Panasonic (where other segments drive the brand popularity). You might not know much about marketing, but at least read the frickin financial statements! The people debating are responsible for the discussions of course, but who gives them the content to talk about? If we left it to Canikon we'd be debating if white plastic was a good finish for DSLR bodies or if incrementing your model number by 10 or 100 was best... why does this matter, might you say? It matters because the whole camera market is shrinking, all of it, every part from CSC's to SLR's, Nikon's recent financial update says it all. Sony relies on marketing, I agree, but also on new products, the A7 series, QX series, Curved sensors, fixed lens FF, compact with popup EVF, 50MP medium format sensor, FF camcorder, the new 'selfie' camera... I'm not saying all these are good ideas, but they're definitely trying new things. Remember at one point this DSLR 'stuff for shooting' was itself an innovation that transformed the photo industry, but Canikon look very much like Kodak at the moment, defending a shrinking market. Which part of the word Imaging did you miss? That division covers less than 11% of Sony's total sales. Yes, read the financial reports instead of making silly claims. The large majority of camera related ads on tv and in magazines are from Canon and Nikon. In stark contrast with your claim that they don't put much effort in advertising. Good points by TrojMacReady. Sony is a far broader brand and naturally spends much more money on ad buys to cover all their products. Not sure why pko hates the A7s. Innovation is good no matter which brand it's from. Mass suicide from Sony fan boys when the A7s is surpassed? That could also mean that lots of Canon and Nikon users already jumped off their favorite bridge when the A7s beat their current cameras, right? I don't read magazines, so I can't say anything about the ads there. And the World is quite a large place, so I'd have to read many magazines to estimate adv costs this way. Checking financial reports is much easier and more precise. I don't hate the A7S. I just don't find it that good and I'm highly entertained by all this discussions about the great sensor and how Sony A7S will replace professional cameras (like ARRI for video and D4/1D for stills). And the sensor is OK. 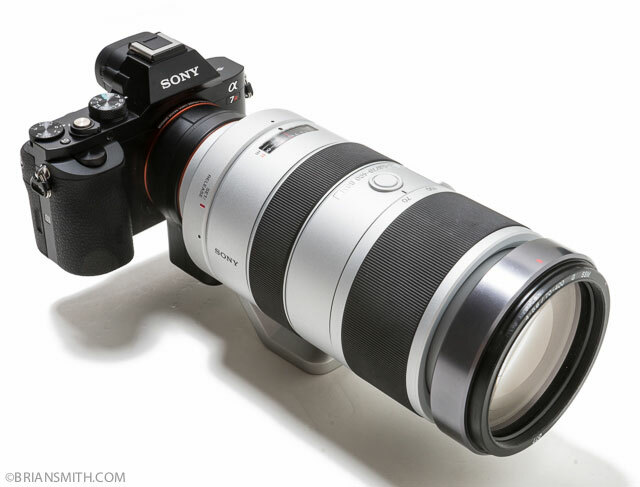 If Sony could make a similar16 Mpx capable of 10fps, it could work great in a Nikon D4H. To me the interesting question is why? Clearly they had the budget to shoot on any camera they chose. So why take the risk of using an unproven system like this? Maybe because they wanted to use a FF sensor camera for whatever reason, right or wrong. All professional video cameras are super 355, which is close to APSC. The story says, "was recently tasked with". Someone asked or paid them which is common. "Film industry accessory manufacturer Cinoflex was recently tasked with rigging up a new Sony a7S mirrorless camera for use on a Chevrolet commercial." First line. Cinoflex was asked by the people making the Chevy commercial (first time I read it I thought it was Cinoflex themselves making it, but it's actually Cinoflex providing the gear for it). Well, either they achieved great results and discovered a new (and probably cheaper) alternative to future commercials, or they found out that this isn't going to work and will tell others to stay away. I'm glad someone tried this on a professional level. The 5D2 shot a movie before, so the A7s filming a commercial shouldn't be too hard. Canon 5D's movie feature is for wedding photographers, who want to extend their offer. Companies making movies or commercials don't use DSLRs and MILCs. And developing a new rig is surely not cheaper than using what they have and know (ARRI, RED, Canon C - whatever). 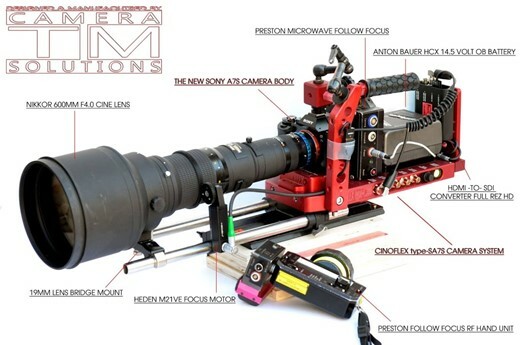 This A7S rig is most likely requested by Chevrolet, who might simply have a deal with Sony. Nothing more. "Companies making movies or commercials don't use DSLRs and MILCs." "How much of the film was shot on the Canon 5D Mark II? A: 70% 5D, 20% film, and 5% F950 for aerials." pkosewski, read the post. It was cameraman decision to use A7s -- not any deal with Chevrolet. A7s has already been used to shoot a TV documentary before this commercial. Google. @pko, I actually know movie making quite well, thank you. I hope you're not assuming that I think Spielberg filmed "Ryan" with a DSLR? The 5D was used to shoot "Men of Valor" to prove a point: that it can be done. With an adaptor, cine lenses of different brands can easily be mounted on different brand bodies, or are we not talking about the same thing? Put a Zeiss CP.2 on a A7s vs on an Alexa. The only difference in price is the body. The rig itself ought to cost the same. Why would you think it's going to be more expensive? I would really like to know why you hate the A7s so much? All these haters coming out of the woods! I see this situation as Company A decided to use Device B to shoot Commercial C. Who cares what they use, as long as they get the desired results? The Mona Lisa was painted with a 0 megapixel camel hair brush but the result wasn't so bad, was it? If you don't like the A7s, say "I don't like the A7s" or "I would use something more powerful/expensive/professional." To dump on this camera just because it's not an Arri is nothing but self-service. Wait, how do you know Michaelangelo and Leonardo da Vinci didn't have endless arguments over whether Florentine or Venetian paintbrushes were better, and whether camel or horse hair had better rendering??? There is no such thing as a camel hair paintbrush. For some reason someone called cheaper soft brushes camel hair at some point, to make it sound more exotic and exclusive than horse or pony. Brushes used by DaVinci would have been similar to the kind of natural animal hair brushes you get today: squirrel, sable, badger, mongoose, boar - to list them roughly in order of firmness. Oh yes, Rafael was brilliant. Michelangelo, on the other hand, was vastly overrated as a painter, but better as a sculptor. DaVinci was okay, but it's not his paintings that are his best or most interesting work. Michaelangelo hated painting. Those who call him over rated really have no clue of history. For a person who disliked a form of art to paint what he painted is miracle in itself. But it records to some low-bitrate, interframe-compressed, decimated-color garbage codec! Reportedly at the rather pathetic bitrate of 60 Mbps. Not to mention that shooting motion pictures with a full-frame 35mm sensor is WORSE than using an APS-sized sensor (which matches 35mm motion-picture-sized frames), because the depth of field is often way too shallow to keep moving objects in focus, especially in the low-light conditions for which they're touting this camera. This is ridiculous. Until these cameras have decent data throughput and a high-quality intraframe codec, they're not serious motion-picture tools. Which part of using an external recorder was hard to understand? Since the A7s has great high iso you can stop down 1 stop to equal APS DOF. Prores or DNX is possible externally, unfortunately in 8 bit but for the price and with many other Sony cameras to protect that's expected. I think the F55 is Sony's serious motion picture tool. Intra frame codecs are far less efficient than GOP based and transcoding at faster than realtime is easy too. For a given size, temporal codecs would have better quality. The "too shallow DOF of FF" is a myth. It can be anything you like. Yes, DoF can be changed to not be so shallow, but with a penalty of less light. Less light than what? Not less light than the smaller format. If you don't care a **** about the production costs, this system may be fine. In controverse, this system might be useful if you want to save money and don't give a **** about light setup, because you can shoo at ISO*****. But that's very controversial. So, what's the point? All right, and the video is where...? dam sony.. I wanted the a6000 now you tempt me with the a7s..
Get the a6000. It's a much better all-rounder. For the price of A7S and single decent FE lens you can get the a6000, a flash and few lenses. a6000 means: better AF, more pixels, less weight and size, easier replacement when damaged or lost. You loose a bit of sensor performance you'd most likely never use (after first few weeks of passionate ISO400k shooting at night). 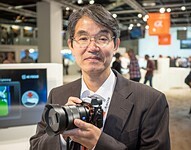 While using the a6000 you can still buy FE lenses and switch to a full-frame body (leaving a6000 for backup), when Sony improves it (AF,fps, handling and so on). It's also quite possible that an a6000 today + some FE body in 1 year will cost you less than the currently overpriced A7S. I love all this 'advice'. No an a6000 is not an A7S, no matter how you justify it. Get the a6000... I tried the a7S for a week out in the field, and while the high ISO performance is something amazing out of this world and only seen in expensive stuff (like the D4S), you will be best served by the a6000. It's fast, smaller than the a7S, and also the lenses are smaller. But I didn't say an a6000 is an A7S. I said it's better! You pointed out the main problem with the A7S. Most people are used to max 3200 ISO. Not because their cameras don't offer more, but because most real life situations don't need more. You might be impressed by the high ISO from A7S, but is it the right camera for you? Soon we'll have more bodies with similar sensors (if not better). Is it worth to get into FF Sony, when this system is still very new and immature? If you're OK with current Sony lenses or using adapters (manual focus), Sony is not a bad choice. But A7S? a6000 is a result of few years of constant improving the NEX lineup. It is a body with only minor faults and it has one of the best APS-C sensors available. A7S might have good high ISO and of course it is a FF (smaller DoF), but not much else. Even in a discussion like this one A7S fans struggle to give any other advantages. And it is SO EXPENSIVE. I'd easily choose A7R. Those who moan about the A7S vs something like the a6000 have a) never used one and b) don't like it because it is 'expensive'. They need to clarify what they say with 'for the price' ie 'a6000 is better... for the price'. Then maybe, just maybe that would be true. Don't believe the nonsense of people who have no clue and base their judgements off 'what they read on the internetz'. A7S doesn't just handle noise better, it handles colour and DR in a way that normally drops off very quickly from base ISO on pixel packed Sony sensors, but the A7S retains that information far better. That's not looking at 'noise' that is looking at usable information stored in the resulting image. Ever at ISO 3200 or 1600 etc the A7S absolutely trounces high MP APS-C cameras in this area. Next up video. Not even a contest... Moving on. Totally poles apart. Then you have the issues of whether your lenses are actually doing a decent job of resolving all 24MP of the A6000 (~54MP FF) vs the A7S which works well with just about anything you stick in front of it. Lenses aren't smaller if you need equivalent FL / F-Ratios. This page shows the A7S performs about 3 stops better than the GH4, that means for every 'crappy' f4 zoom on the A7S you would need an f1,4 zoom on the Panasonic (or around an f1.8-2 zoom on the A6000) - Wanna tell me how 'small' that lens will be? The extra latitude of the A7S offers you more control than ever before for even medium shooting. Previously yes with a fast lens you could shoot at f1.4 or f1.8 and get something that kind of works, it was the max you could go so if would suffice. Now you can shoot the same scene at f4 and get similar results with greater DoF. 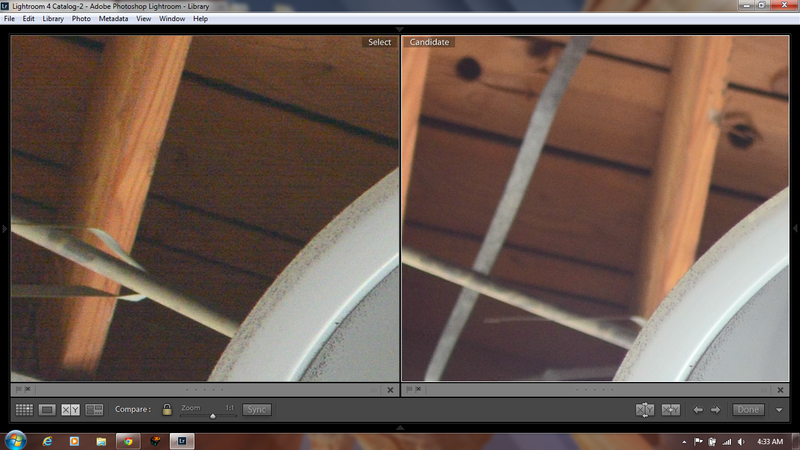 OR you can go the other way and get the same DoF and cleaner results, depending on the shot you need. So you have more control over how your shot looks. So we all see, that you love the A7S. And I'm sure you don't understand my point of view, so here is a short summary. 1) Personally I'm not very interested in the sensor performance. 24 MPx sensor from Sony is everything I'd want from an APS-C. And the Canon 5D is everything I'd want from an FF (in terms of noise/DR). Obviously sensors will get better and better, but human sight won't. 2) For me the speed of A7 jest unacceptable at this price range. And before you say A7 is not meant for sport, so 2.5 fps is OK, I'll add that 645Z does 3 fps. 3) The A7 body is unnecessary shrunk and not nice to handle. I understand they wanted to compete with m4/3. But it is reasonable to make small body for small lenses. Why make such a small body for huge FF lenses? If A7 was just a bit larger (space for battery!) it could be comfortably held by all 5 fingers and compete with SLRs in shots per charge. 3) FF means better details but also vignetting (specially with older lens). 1) See now you talk from YOUR perspective, when giving your advice to others. Believe it or not, that person may not own a 5D... Just because you are happy with what you have, doesn't mean this will be the case for others. You also went on to say that even A7S users can't justify why it's better, I just did and you say 'well that doesn't matter... to me'. 2) The A7S is very speedy. Sorry, but it is. Burst mode may be limited to 5fps but that is not 'my' concern. I also don't really care how many fps the 645Z does. I can shoot as much as I ever need to without the camera ever slowing down once. And the second post (to match your generosity). When I look at Sony A7S, I see a camera built for specs (mostly those easy to advertise, popular among amateurs). So we have ISO 400k, small body, 4K video and so on. I'm not saying it is bad or useless. But it lacks a lot in the "shooting experience". Handling is nowhere near SLRs, I don't like the slow-ish responsiveness and I was irritated by the controls (mostly the shutter button, Oly M1 is much nicer). I used the A7R for 2 days. For landscape (with the 35/2.8 and a tripod) it was simply *fabulous*. Easy to move around, small, great remote control (with a smartphone). Resulting shots are beyond what I expect. This is easily the best camera for the job. For general shooting - not so much (because of the handling). And for me A7S is the same camera with too few pixels. ->2) I understand you don't need high fps. Why can't you accept that many people don't need high ISO? -> 3) A6000 is small, but the lenses are small and light (more or less). Try to hold something like that for few hours, you'll see what I mean. Example? When you attach a long zoom to a DSLR (even smaller one: like D7000) you can easily raise it to your eye with one hand. I find it rather impossible with the A7. Because of the small grip it is very hard to apply the force momentum needed to move the lens. It's just hanging down until you use the left hand. You might think this is some small, weird issue. But for me (and many others, I assure you) it's way more important than high ISO. @pkosewski - So you haven't actually used an A7S? Yep, I thought so. So it 'needs' a 70-400mm lens right? And where is the A6000 equivalent that is SO small? Yep I thought so. "Slowish responsiveness" again having only used the slow, loud and clunky A7R gives you about zero experience with the A7S. They are very very different in operation (apart from the physical size / controls which to me a very decent for the size). A6000 has 'easy to advertise, popular among amateurs' such as "worlds fastest AF***", "24MP", "179 AF points", "11fps**" and so on. Exactly the things that someone like you think make it 'better'. It may be nowhere near an SLR in handling, but neither is the A6000. You can't compare to another mirrorless and then drop 'well it isn't any good because it doesn't handle like an SLR'. Personally I prefer the handling to the many DSLRs I have used. Also, unlike the A6000 the A7's can use an optional grip, which gives it far more DSLR like handling. I used the A7R. What is your problem? The only significant difference is the sensor. I don't need high ISO, but I'd like high resolution. 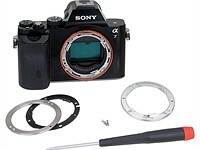 If I wanted to switch to Sony FE, I'd easily choose A7 or A7R (even if A7S was cheaper). A7S does not "need" 70-400, but a photographer might. I used it on that occasion (wildlife). I can also see you're not a Sony fanboy. You're an A7S fanboy! I bet you don't like the A7R handling, either. The "slow and clunky" A7R is widely praised and many photographers (e.g. professional landscape shooters) switched from 5D or D800 (keeping the lens, obviously). I don't get "high budget" shoots. They use super high-powered lights during broad outdoor daylight then stack a bunch of ND filters on their lenses. Shooting video requires a shutter speed that is "twice the inverse" of the frame rate. The usual video frame rate in America is 24p, so they need to shoot at a shutter speed of 1/50. Shooting at faster or slower shutter speeds creates choppy motion or excessively blurred motion, respectively. Daylight shoots will require ND's for this reason alone. Secondly, native ISO of digital cinema cameras is much higher than consumer digital still cameras. Native ISO of the Canon C100/300/500 is 800. So to get best image quality, you already need ND filters to shoot at native ISO in well lit situations. Thirdly, for maximum image quality and dynamic range, the A7S was probably shot using the super flat profile 'S-Log 2', which has a native ISO of 3200. Try shooting in bright daylight with a 1/50 shutter speed and ISO 3200, and find out whether you need ND filters or not. Now imagine it with those 'super high-powered lights' you talked about. I'm well aware that ND filters are necessary. What I'm not sure about is those super high powered lights in broad daylight. The "super high-powered lights", by the way, are for continuity. Do you think people won't notice when a single scene, after editing, seems to flash back and forth between several obviously different times of the day? Even an hour's difference can mean a huge change in shadow direction. "The 'super high-powered lights', by the way, are for continuity." Actually, the "super high-powered lights" are for the quality of light, not quantity. It's used in the same way that fashion photographers use strobes on outdoor daylight shoots, or Joe McNally's uses his speedlights even at mid day. It's to control the quality of light (direction, color and type of shadows), so you can create a visual style or mood. Example: Ever noticed how Frodo's hair in the Lord of the Rings Trilogy is always glowing, strongly backlit? That's not the "real" natural sun lighting. That's artificial backlighting on his hair, created for artistic purposes. I bet that every single item in this system is worth more than the a7s itself...starting with that beautiful anodized aluminum Cinoflex cage. since when has sony been known for low quality (assuming this is some sort of critique). From what i have read, the yield and reliability for their Full Frame sensors is leagues ahead of anyone else (canon?) I've had other items from sony, a walkman many years ago, a MOSFET amp, and a TV set, all made much better than most of their rivals.. not sure what the point is here but if there is a suggestion that Sony are poor quality or low rent, its well wide of the mark. Maybe your preferred system is just taking buyers for a ride and charging them much more than they should. What is it they say about a fool and his money? For the past 20 years Sony has been known as a jack of all trades master of one (video). They certainly make some solid components in the realm of digital photography, but they only do part of it right - the sensor. Sony image processing is subpar and even with the excellent sensors puts Sony photographic quality in a distant third place behind Canon and Nikon. Nikon's effort with Sony sensors run circles around Sony's efforts with Sony sensors. @matty_boy: Funny you did not ask "since when have Sony AND CHEVY been known for low quality.."? What made you drop Chevy? If Sony is so good how come that 95% of their profits come from the Playstation platform. NO! Sony is only good at nosing around but they are not particularly brilliant at anything. I admit that they are good at challenging and disrupting but for some reason they lost many battles including the Walkman battle, The Betamax battle, the smart TV battle, the smartphone battle and soon the DSLR Mirrorless batle. Ohh there are plenty of examples of Sony strong entry and quiet exit...but I understand there are fan boys turned preachers! Also, people around you are making fun of weird Sony's strategy, and you bring up Jobs (aka master of marketing). I doubt Sony is in top10 in the world of audio equipment (sorted by overall quality, excluding small elite manufacturers). TVs of most large manufacturers are almost the same (LED TV is a very simple device). It's jut a matter of getting the right model. 1) On their signature stuff (TVs, Audio equipment and mobile phones) they loose more than they earn with everything else combined. 2) In 2013 earn 30x more on selling electronic parts (mostly imaging sensors) than on whole digital cameras. They dominated the Walkman and Discman (and for a short period MD Walkman) market for almost 2 decades, not quite the lost battle you make it seem. They lost the transition to MP3. They turned Betamax into an industry recording format that was widely used for decades, helped Philips introduce the CD and DVD and ruled that market for decades. They won the Blu-ray battle and console battle against directly competing products. They ruled the tube TV market too, but again lost the transition to flatscreens. In short no company rules any market forever, especially with new masses of dogs jumping in to compete at a lower cost price (first the Koreans, then the Chinese). Oh and someone claiming Sony started its photo business by taking over Minolta, shows a clear lack of knowledge on the subject at hand. Next. Is our personal opinion of Sony and/or Chevrolet really relevant to this news article? At the end of the day, if you don't like Sony cameras, nobody is forcing you to buy one. Sure, their JPEG processing is rubbish (although consumers seem to like it) but I shoot RAW regardless of whose name is on the camera. At the end of the day, a camera is just one tool in the photographic process (myself being another :P) Being that I'm not a sports guy, I'd guess I could get effectively identical shots with any FF dSLR. The glass is a heck of a lot more important - any modern camera body provides vastly better performance than most of us (and our lenses) ever need or benefit from. But does another full frame SLR provide me a with full time live view previewing exposure, gaining up in low light and allowing me to use a level in the viewfinder? Does another CSC allow me to shoot at 3200 all day if I need to? Does another camera with a 1"-type sensor fit in my pocket? Sony answered my needs. Simple. The RX1, RX10, RX100 are NOT class .leaders! Especially not in the area of photographic quality. Pellicle mirrors have been around for 50 years as a niche product. Now with Sony marketing aka SLT! The negatives still outweigh the positives. Sony's heyday was the 80s . I trust imaging companies with decades of experience dealing with photography. Not a gadget company like Sony. This is an interesting point of view. Did Sony manage ANY transition in technology? Audio and TV (A to D): lost. Phones (traditional to smartphone): lost. Mobile computers (laptop to tablet/hybrid): lost. Cameras: they started with digital (and earned mostly with compacts, not ILC). PlayStation is selling all right, but what will happen here? There is already a visible move towards mobile consoles (phones attached to TVs, Android-based small boxes etc). Will there be a PS5? I'd love to see the camera you claim seriously competes with the RX1/RX100 - sure, the FZ1000 is a serious contender to the RX10 and they both have their pros and cons, but so far as I'm aware there's nothing in the same class (before the much-rumoured LX8 arrives) that can touch the RX100/M2/M3 for IQ bar the GX1 - and the GX1 isn't really 'pocketable', is it? And as for the RX1/R, do you REALLY think the IQ is trash? I would be intrigued to know your proposed alternative. And sure, the pellicle mirror has a detrimental affect on the light gathering ability of my a99. But again, show me an SLR made by a company you rate more highly that has the advantages I listed, because 1/3 of a stop matters a lot less to ME than the benefits I listed. If you prefer an OVF, and don't care about AF in live view, then good - don't buy an SLT. Nobody is going to make you, just like nobody forced me to buy a CaNikon. But then, I don't troll CaNikon-related posts badmouthing them. I won't argue about the performance of Sony RX-series - it is great. But here is a little idea for you to consider. 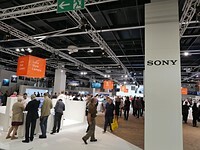 Sony cameras do stand out in terms of IQ and features compared to similarly priced cameras of other manufacturers. But other manufacturers actually make money on their cameras (at least Canon, Nikon and Olympus). Sony does not. For some companies (Samsung, Fuji, even Panasonic) camera division is so small, it's often omitted in financial statements. For Sony it is quite important (around 10% of sales). They lost most of those transitions because of what I already mentioned before, new competition that had the advantage of lowered production costs (first Koreans, then Chinese) swarming the market. It's the same problem that the Koreans and specifically Samsung are starting to feel right now, with the Chinese taking them head on. First diminishing their profits, then likely forcing them into losses in the race to the bottom. Especially in the TV and Mobile sector. Troj, I wonder how Canikon had kept leadership in this business for more than 60 years while Sony just pops up, brings some clever products and then (judging from their past) leaves quietly. Canikon had also gone through all those cycles in their business but they prevailed. Particularly interesting the transition times from film to digital, a real disrupting technology. I still remember Sony´s Mavica, clever! but somehow after 33 years of the Mavica they only have 8% of the market? The only reason for Canikon to go light on the mirrorless is because it undermines their already well established professional markets (high end-high profit) and not because lack of technology (although I had to admit that Nikon gave up on sensor design). In any case I like what Sony is doing for its effects on the market and the benefits for the consumer, but I still prefer Canikon, Fuji or Olympus. Seriously, I don't have much information on production cost at Sony. Fact is, Sony makes more and more things in China (I believe all phones and most cameras), so they can't cut much by moving the production lines. Still, they can't manage to get a serious profit. Maybe they have some serious structural problems? Nikon, to cut costs, moved production from Japan to Thailand/Vietnam (bodies) and China (lens). They have a 5% profit margin (most companies hope to earn as much in few years). (+ a huge loss on phones). But then, Nikon is quite famous for very tight management and cutting costs. This is one of the reasons why they survived so long in the business (being mostly a camera-maker, not a conglomerate like Canon). Sony is not famous for efficient management. They push huge amounts of $ in some ideas. If they work: winner. If they don't: dump. PlayStation was w winner. Cameras? Not so much. very entertaining. the RX100 and RX1 are undoubtedly class leaders and yes unfortunately that includes the 'subjective' area of photographic quality. Although the RX10 has stiff competition (that actually uses the same Sony* sensor) it is (as i said they all are) 'arguably' a class leader. The RX100 is so far ahead of competition that new releases are almost redundant, making todays X30 launch almost pointless if you are objective. And, so what if Pellicle mirrors have been around for 50 years. The combustion engine was around for years before the car but by your logic we could argue that the car is not innovative at all as engines existed before them. Utterly ridiculous. I dislike this hugely biased attitude, to call Sony merely a 'gadget' company is pure ignorance. To prove how ridiculous this stand point is, you say "I trust imaging companies with decades of experience dealing with photography" So, would that include Nikon who use Sony sensors in all their products? CMOS production is a huge business mostly dominated by large companies (Intel, Toshiba, Sony, Samsung, Renesas and few others). Nikon is not a CMOS manufacturer. They do, however, design chips and outsource production (mostly to Toshiba and Renesas). This way they only need a team of engineers and not a huge factory. That's how you make money in the real world. Grow up. And yes: like many other companies, Nikon buys chips from Sony. Sony is the largest manufacturer of imaging sensors, so why not? Even Fujifilm (who own a production line) does it occasionally. It is much cheaper. As for RX100 - it is a good camera, but every other manufacturer could make a similar compact. They don't because (probably) this is not a profitable business. If Sony can afford it - OK. They might as well sell RX1 for $500. How great would that be? I can't get passed the bias here, the RX100 is an outstanding camera, to try and belittle its achievements by suggesting it could be a loss-leader and then attempting to qualify that by claiming they could sell the RX1 for a ridiculously low price, why do that? Also with Nikon and many premium compacts, the entire sensor is made by Sony. its disingenuous to write that Nikon "design chips" whilst asserting that Sony are merely fabricators in your opening sentence. This is not the truth, Nikon are not chip experts and are only directly involved in ADC aspect of post sensor image capture. Im not sure why you feel the need to meander ambiguously into a position where you can still try to claim that your original assertions were anything other than bias/fanboyism or whatever. Followed by the stock 'grow up' churned out by all and sundry on internet forums, well done. Patronising clap trap, i get the impression you specialise in that sort of thing though. In fact, according to IDC, even Sony had a larger share than Canon of the photography market back in 2005, before Sony bought Minolta (2006). Nikon has losses in the compact camera business and makes up for that with its large DSLR business. Sony is also a strong player in the film camera market and both the compact and film camera market are collapsing. Hence why their smaller ILC business is struggling to shine through those 2 dragging the imaging branch as a whole down. As for the RX series not being profitable, it's actually one of the brighter lights in the Imaging business and especially cutting some of the losses in the compact camera sales (which as a whole are hurting for everyone) according to Sony. You're partly wrong and partly confused (because of misreading my comment?). I did not say RX100 is a poor camera. I only said that Sony is not making money on their camera business. So maybe the RX100 is priced to low. Maybe it should cost 20% more to be profitable. We don't know that. We only know the final results, which are not very good. I've also written that Nikon designs sensors which are then made by *Toshiba and Renesas*. I think the last Nikon-designed Sony-manufactured sensor was in the D3X (although the CMOS itself was most likely taken from A900). If you're correct (and you most likely are), why don't they just dump cheap compacts? Nikon needs money from this segment (even if it gives no profits). Sony should easily survive only with ILC and RX-series (and selling sensors). As for the RX profitability - maybe the RX100III is doing well at $800 MSRP. I really doubt the original RX100 was earning a lot of money (at $650). And what about the RX10? Best in class, great camera overall. I don't think I've ever seen one being used (but I've seen a few collecting dust in shops). Dumping costs a lot of money once, which in theory could save longer term, but it would also mean a loss of exposure (name related to photography) and an entry to Sony cameras (many have moved up from these cheaper compacts). The RX100 had a $150 lower MSRP, but was also much cheaper to build as it lacked the relatively expensive OLED EVF for example. Less glass, no tilting LCD mechanism and no BSI, lack of Wifi, NFC and built in ND filter helped save on the cost of construction and assembly too. I've noticed something funny in the "dumping" department. The last E-mount lens (excluding FE) was released a year ago. And I haven't herd any rumors about new lenses for APS-C at Photokina. Actually, the last non-FE lens was the 70-200/2.8 for Alpha, and we know that A-mount days are numbered. Being in top of the sales charts doesn't mean anything and precisely that is why I placed Sony and Chevy (GM) same level at the beginning of this thread. Look at what happened to GM after being many years in top of the auto industry sales fortune list: busted!. Now, the fact that they sold more cars for many years didn't mean that they actually led the auto industry. Canikon have been leading the photography industry for more than 60 years, not Sony, but again I'm not a fan boy preaching any one brand. What the layman will hear is "shot with a Sony A7s," and he will think that just by purchasing an A7s, they will get pro video...not realizing that quite often there's a whole lot more involved than just the camera body. At least he doesn't have to flash magic lantern to get decent video features that should be installed in the first place. They took the A7S and they built this complicated rig, but they used one of Nikon's lenses. That it is ridiculous to complain about a system which can handle just about ANY system... only limited by the budget and skills of the photo/videographer. Or to criticize a system that's still barely 9 months old. its tells a much bigger story about why lens systems don't really matter when considering the E system. I have an 'antique' (lets call them old) used lens collection in one of my stores, we would sell three or four per year until things took off with the E-system. There are some old incredibly sharp and fast lenses available if you look around, ebay etc. Id recommend having a look on flickr or other hosting sites to see the amazing shots being taken with some very exotic lens selections on the E-system. Focus peaking really is that good.. If AF is so unimportant and FP is so great, why didn't Sony just focus on bodies and forget about glass? Clearly, making lens is not their strongest point (even though they have the know-how and production lines). *Sony E* as a whole has been around for a while. Please read more carefully. Simply put: this is the first time I've heard about some serious professional utilization of the A7 and it is mounted to a Nikkor. Konica had a similar (if not better) lens. Why did Sony dump it? 1) What does E-mount having been around for a while have to do with the lack of native FE lenses after 9 months? 3) 600/4 is not a lens anyone but Canon and Nikon produce. Fuji, Sony, MFT combined, etc. don't have anything close to this. So if this was the desired focal length, then they had to pick Canikon. That example wouldn't be an indictment of the lack of lenses in the Sony system (the lack of, say, an 85/1.4 would be reasonable though). How many people must have a 600/4 lens in their system or they couldn't function as a photographer? 4) So the basic point is you came here with multiple chips on your shoulder about Sony and dumped them irrelevantly all over this news article. Congratulations, I will get you a medal. 1) Nothing, if you're sure that Sony will give more attention to FE lenses. After few years of E-mount the lens choice (and quality of what they decided to release) is pitiful. 2) I don't get why "fully-manual" lenses would be preferred. You can focus manually with an AF lens. And you could do that with a Sony lens... if it had existed. 3) There are 3 companies with FF sensors. 2 of them make 600/4. Third one could do it (their predecessor did), but decided not to - even though this is a surprisingly popular lens. That's all I'm saying. MFT has the Oly 300/2.8 (so 600/5.6 equivalent) which is rather fantastic. 4) No. The basic point is that I'm hugely entertained by this article and the discussion. First: some company for some reason decided to make a video with the A7S (there are many better cameras for that). Second: people read the article and comment with an obvious belief, that A7S is the best video camera available (of course it was already the best still camera :D). 3) Are you selling those 600mm lens, how can you know it is surprisingly popular. Canikon knows the volume of sale, Sony does too and if Sony decides not to produce one, there is a cost--effective reason. Unfair. Sony will certainly introduce at least one new E sytem lens over the next 5 years. Consider the plethora of lens options offered to NEX owners. Ho ho ho. At least 10 the next 2 years, not counting third party and thus excluding (non Sony) Zeiss, who will announce a few too before the end of this year. Yes, so many other companies produce 600mm f4 lenses at a quality level suitable for digital cinema. Sony should have had a whole range of at least Zeiss-level cine anamorphics available the minute the A7S was announced. In the grand scheme of things, when I see what Olympus wants for top M43 cameras, Fuji for its top APS-C cameras and Nikon for the V3, the A7S seems almost a bargain. Well that was stupid, they should have just used a real camera and saved themselves time and money. Would you be so kind to enlighten us which setup would yield better results while saving money? An ARRI / RED setup (or Canon C-series or something else), which such company surely has. They decided to use the A7. Maybe to have fun developing this rig, maybe Sony made them do it, maybe for some other reason. We'll never know. Then you're missing the point of why a company doesn't put all its eggs in one basket. All of which would have cost more and would have noisier 4K output. Did Chevy shrink so much in size to require a 600mm lens? Because nobody would ever use a 600mm lens on a FF camera to capture a Blue Whale? The car was so far away, it was the size of a lemon. Can you drive a Blue Whale and bring it closer? If that is your style, sure you can... especially if your style is to use a macro lens. Macro lens cannot focus at infinity? Did you really miss the joke? An 8mm fisheye lens does too. Hmm need a really decent tripod/steady place to put it/steady hand to avoid Jelloville with this rig. If Hollywood concentrated on making great movies instead of all this fancy-looking gear, we might have more than one great film every three to four years interspersed with schlock-show after schlock-show. The epic scale of this wasteland is only dwarfed by the scale of the money and talent wasted to create it. "Hollywood" doesn't make the gear. They make movies. Not sure what you term 'schlock' vs 'good', either. Not that good movies cannot be made without all this gear, but many fine movies ARE. Why does the guy mention a DSLR in the last quote? Crack smokers. I'll remind you that the movie ended by very successfully crossing the streams. Why not just get an HD camera than making this painful rig? Coz they need a camera that will work in total darkness.. This is a 4K capable camera rig, with FF sensor. You guys are all missing something here. The first line in DPREview's blurb says "Cinoflex was recently tasked with rigging up a Sony A7S..." You could read that as it not being Cinoflex's idea, and that someone else, possibly Sony, requested and paid for them to do it. In other words, a promotional stunt by Sony to show off their new camera. I rather doubt this was Cinoflex's idea, or that they plan to sell or rent these rigs. It doesn't matter though, since the most important is the conclusion of Cinoflex that this is one hell of a great camera. I am sure they were not bribed to say as such. No of course not, because nobody is every over complimentary about their paying client's equipment. No doubt this sensor has amazing low light performance, but it is hardly the most sensible choice. They needed 600mm lens? could have used 400mm 2.8 on a super35 chipped camera for same FOV. But then you won't have the same depth of field. Nor the dynamic range or high iso capability. "I rather doubt this was Cinoflex's idea, or that they plan to sell or rent these rigs." They've given it a name like all their other products, and are raving about it. Of course they're going to sell/rent it out. They even rent rigs back to camera makers themselves (see their FB page, their latest rig got rented back to Canon USA). Unlikely. Sony is very protective of their pro video business. If anything, they would have prevented this rig. They want to reach consumers or enthusiast, not video pros who stop buying expensive Sony video gear. So that is why they announced it fully rigged up? In the link i posted Sony already had the A7s fully rigged up. Something you claim Sony would've prevented if they could. "If anything, they would have prevented this rig." They can be if you want them to be. And you can rig them up if you need that. This was taken with an tiny bmpcc set-up. I can't believe they sullied that rig with that old Nikon lens. They wouldn't have to if Sony made lens's. That is the beauty of such cameras. Your lens choices are limited only by your own skills and budget. Agree Einstein, my reply to Steely was a bit tounge in cheek for his comment abut beautifying the camera with a Nikon lens, but it really is strongpoint that Sony has made its cameras easily compatable with other lens. Obviously my comment was tongue in cheek also; I have a Minolta 600 that looks the same as that old Nikon (AF though). I suspect a lot of these sort of uses/users are going to be shot with Nikon/Canon/ETC lenses. In some cases because there might not be a similar lens but in many cases because they already own the lenses at the time they buy the camera.....and since it can take just about anything, that makes it cheaper still (no need to buy a whole new system like you would if you switched from Canon to Nikon for instance). Zeiss cine lenses are also quite popular. Adaptability was always the point of E-mount (also Sony FZ-mount). They probably only took that lens because a suitable focus motor exists for it. If it is only about adapting to E-mount, they could have taken a Minolta 600/4 or Sony 500/4 just as well. Which DSLR? And why DSLR? Why so many Sony haters? A pro is telling the world of photography how awesome this camera is and many are mad for saying so! I don't get it. If you live in a world where Sony can do nothing right, there is always some OTHER explanation for a positive review of Sony. It just cannot be possible that Sony excites actual professionals no matter how many slobbering reviews we read at EOS HD. Insecurity of the strangest kind leads to it. Nobody feels bad. We're just pointing out that it says more about the self-appointed "critics" than it does about whatever a given camera maker is doing. It's going to get worse as Canikon destroys themselves in obsolescence. They correctly fear their systems and favored brand are losing respect and value. Go to Canon Rumors and you'll see a comment or two per article. Go to Sony Rumors and see hundreds, mostly Canikon posters that can't stand how Sony is innovating in circles around their brand. It's childish to say the least. There is good reason to grumble over a "prosumer" camera that can't be used properly without investing >10x the cost of the camera body for added gear. A bummer that neither the a7s nor the PXW-X70 can capture 4k internally. - "Brick, where'd you get that gun??" Man that's a rig. The camera is probably the cheapest part. Seems renting a camera instead of all that gadgetry would have been less costly. Makes for a good article I guess. Looks a little bit like my leaf blower. Exactly true, when in need, just rent a Epic Red and be done with all the 'gizmo' sellers…. Don't you find there is more 'proof-of-concept' stuff out in the market place nowadays than real solutions to a working problem? The A7s beats the Red Epic in low light. The point is now you can buy or rent *this* setup. It sounds like they used mostly off-the-self parts anyway. Nice rig for that trip to the park with the dog or that occasional selfie. At first I thought it was an Andromedian Photon Cannon with the optional plasmatic de-neutralizer. Great camera but Sony needs to add lenses to its lineup. Bad. They do that and the camera world is their oyster. For the general A7 series of cameras I would agree. But the A7s is a primarily a video camera and video is shot almost exclusively with manual focus; with E-Mount nearly any lens ever made can be adapted to it. "..having the opportunity to use Canon, Nikon, Sony, Zeiss and even Leica lenses opens up so many doors that were previously closed for photographers. That in itself is a game changer! " Ok you guys, I'm sure Sony wants to see lens sales from other manufacturers for their own camera. Right. Good luck convincing them of that. A camera costing only $2.500 has been chosen by some top pros to do the job of an Alexa costing beyond $50.000 and some of us bashing DPR for making it news?? Wonderful point. I'm rather new to this hobby, and I'm most surprised by the cynicism of everyone around here :-(. You have to spend a bit more than $2500 to get the Sony to do the same things as an integrated cine camera like an Alexa. It will still come in less... but, you will never get the integration and robustness of a dedicated profession cine camera.. and in productions, where time down = money burned.. workflow and reliability is far more important. 2500 gets you a 1080p rig. Couple grand more and you can finally record 4k. Considering there are very high quality 4k cameras now for under $900 (FZ1000 for one), this isn't too tempting for the working man. I'm not sure its the choice of camera, but the knowledge that there's close to 6 figures of assembly in that camera. Of course, they didn't say so, I'm just assuming that there's 500-1000 total man-hours of design, testing, and integration (about a month of calendar time for a team of 4). It could be all off the shelf and assembled in an afternoon, but it doesn't look like it. Leave it to Ontario Gone to recommend an FZ1000 instead. Good thing Olympus or Panasonic do not make mobile phones with 4K capability, or else that too would figure in here. It is the typical fanboy flame war. Sony could introduce a 500 megapixel full-frame camera with clean ISO 1 billlion and 400 lenses to go with it for under $1000 and fanboys would still whine about it. Comon dude, don't bring your personal vendettas here. It wasn't a direct comparison, it was an example of how there are far more options that offer a good portion of the A7s capability for far less money. But you know this of course, just looking to complain more. The FZ1000 is an great bridge camera. But it's 4K isn't that great. It uses an small 8mp crop of the 20mp sensor. Therefore you can't create nice out of focus shot area's. It's not very good at high ISO either. The GH4 would be an better comparison. especially since there are speedbooster available to enhance the low-light and depth of field capability. I don't believe my eyes ! It's a NIKON lens ?! Yesssssss . . . .
GM should contract Cinoflex to engineer cars for them. That would probably result in fewer deaths, lawsuits and government bailouts being associated with GM. GM knows best though! They know customers don't need cars with functioning airbags or leak free fuel line fittings. The customers really want a commercial filmed in near total darkness. Based on the article, you'd end up with a high performance turbine hooked to a generator, then that generator hooked to a single electric motor which drives a traditional gearbox and transmission system, a tubular aluminum frame, a set of 40 buttons - none of them labeled - in place of a steering wheel and pedals, and half a dozen Jerry Cans full of JetA bolted on the back and interconnected with exposed tubing. At least, that's what the contraption they've built looks like. General Motors should be more concerned about the mishaps on their products other than creating spectacular ads. Of course we know that this camera surpasses the regular use that amateurs with money give to it. Of course we know that those guys who shot the ad didn't buy it. They rented it. Considering the number of cars that GM has made over the years compared to the number of problem vehicles, the defects represent a very tiny percentage of the total, yet many people such as papas here always dwell on the negative as they are programmed to do by news media who specialize in exaggeration. With a rig of this size how can it possibly matter which body to use? Sony is probably the best high ISO video camera, so size doesn't matter, but using the best high ISO video camera does matter. And it shoots 4k, which I imagine everyone will want. To me, it looks like Cinoflex used the A7S so they could make a marketable system to sell for that camera. "We used this camera to shoot this commercial, and you can too if you buy our SA7S platform..." Cinoflex knows customers will want to use this setup. You are right, body size is irrelevant in this setup, as long as it is reasonable. There would be no difference between a D4 or a A7S here. I got the impression it was also an add Eric. It seemed too "commercial" for lack of a better pun. It may have been a legit undertaking for the GM filming but there is no way it's not all part of an add campaign to sell something. Sony and Cinoflex are pulling a no look quarterback shovel pass. When I first saw this (which was last week) my immediate reaction was "how do I get to the camera controls?" Notice there isn't even any way to look at the camera's EVF or LCD, so you'd be viewing on an external monitor not shown in the above.... This is pretty much how DSLRs are packaged as capture backs for movie industry users, although the A7S isn't exactly a DSLR. What I fail to understand is that at the budget both chevrolet and the marketing / video company has... and obviously the whole rig is more expensive then about a dozen of the A7s... why go for that option instead of other available options that are more specifically geared towards cinematographic work? Therein lies the justification. If Cinoflex was contracted to do the shoot, then they negotiate a price for the project *first*. Once that's done, they will try to create the largest profit margin possible -- which means using the least expensive equipment (not poor quality, just relatively inexpensive). Everything about the rig is says "homemade." Not that it's bad, just that you can tell lots of thought went into how to maximize performance with the least amount of money. Which makes sense for a contract job. Production companies are always experimenting with new stuff to stay current and for competitive advantage. The ppl working there are gear heads and love tinkering with new toys like this, so it makes a lot of sense that they shoehorned a consumer ILC into a rig like that. And if it outperforms $50k equipment, the better. It is also possible that Chevrolet specified in the contract that a Sony A7s would be used. Why? Perhaps for the lens effects available with a full-size sensor shooting at 4k, or for some low-light quality? Maybe one of Chevy's contract writers is a Sony aficianado, or a low-light aficianado, and wanted to see how the Sony would perform. If they can get some cool lens/lighting effects, then they can claim to be the first automakers to shoot that into production, for whatever that is worth. 3) The video company filming the commercial see the A7S as being a useful addition to their equipment will need the Cinofllex rig to use it effectively. The rig isn't just for this commercial but will be part of its stock equipment. I think the latter is the most likely. The cost of the kit will be amortised over many commercial/videos. On the other hand someone may have just got a new toy (the A7S) and wanted to play with it. You don't get both 14-bit RAW and 4K at the same time. In fact you don't get 14-bit raw in any video mode. If you are recording the HDMI output, you are getting only 8 bits per Sony. Not really - the ARW2 format only encodes 13 bits. And if you use sequential shooting mode, the camera internally drops to 12 bits. The spec sheet says it's raws are 14 bit. For timelapse you won't need sequential shooting. Oddly it doesn't say why use this camera. With a budget and so many known cameras available why would you choose to experiment on a high budget, high pressure job. Why do I feel like I am not being given the whole story? I was going to comment on the same thing. They never explained why. What was it used for? They specifically mentioned the 409K ISO so I must assume it had something to do with sensor size and dark condition shooting. Let's see the resulting commercial so we can understand what wasn't written. Someone paid them to use the A7s. The A7s sensor tops any other high-end video camera (e.g. RED, Alexa, which users Super 35, which is comparable to APS-H). And by tops, I mean high-ISO, near full-sensor readout (Sony says 'full-pixel readout', it's not the same thing), dynamic range, etc. Sadly, the A7s is hindered by the consumer implementation of their codec. No 10 bit, no 4:2:2, no RAW, no high bit rate, etc. My guess is to protect their money making pro video business. Sony, as every large company, exploits all possibilities. Maybe they manufacture some LCDs in the car. Or maybe they provide some simple electronics, chips etc. So they said: "hey, we have a nice cooperation going on. Why don't you help us sell our camera?" This kind of agreements between companies is very popular. Apple's been paying different companies for years. @Lab D :-) A7s is hindered? You keep saying it but yet I have never read any reviews showing the superiority of another camera's implementation of video codecs over the A7s codecs. You are welcome to prove me wrong though. You're not wrong: you might never seen such review. That's because you've read reviews by photographers and A7S was compared to other equipment made for photography, not cinematography. If we're discussing A7S as a tool for professional video, we should not compare it to e.g. Canon 5D. We should compare it to cameras by ARRI and RED. And they really are in a different world. RED Dragon was tested by DxO. It easily won in dynamic range. It doesn't have the lowest noise today, but keep in mind it was released 1 year before the A7S. And that the sensor size is close to APS-H (1.3x crop). You should not think, that by buying an expensive DSLR or MILC, you get the best sensor widely available. And you really shouldn't hope, that the A7S (which shines compared to DSLR) will rule the world of cinematography. As long as you are willing to correct yourself, no harm, no foul. Of course you are probably right. I should have been more clear. I was only mentioning about other DSLR / MILC's which does video and not with other Professional Video cameras. externally at any bitrate you choose. It is 422. Only 8 bit though - no solution. Slog2 squeezing 14 bits into 8 could get ugly. Lab D is a M4/3 tro;ll who used to post as "Everdog". He was banned for using sock puppets. He has a nasty obsession with E-mount and telling people why they are bad. Codec isn't everything. A7s blows the crap out of GH4 in low light video. Pgb, at various video sites the "only 8 bit" is one of the biggest complaints, so they agree with you. @ET2 Lab D was Ever Dog :-) Oh wow..
You keep saying (as you always do, but makes sense now that we know about your "Ever Dog" history) Please link a site where they found problems with the 8 Bit A7S video. :-) Don't forget that your precious GH4 also records in 8 bit internally. Oh well..
ET2 bizarre posting is well documented . Several Pentax users have IMed me about his history which is there for all to see. I'll let DPR deal with him. If you want, check out dvxuser.com and the 8-bit complaints are there. Pgb mentioned the issue too. btw, for internal recording the A7s is only 8bit 4:2:0 1080p and the GH4 4k can be converted to 1080p 4:4:4 10bit. Lab D, Canon 1DC, C300, C100 are all 8 bit codec. They have been used extensively in professional shoots. C300 is still Philip Bloom favorite camera ever. And GH4 does 10 bit with only external recorder (optional), and no such external recorder exists that takes 10 bit HDMI 4K, so it's not if anyone is even shooting with GH4 in 10 bit mode. No one is. For internal processing the GH4, FZ1000 and AX100 all can shoot 8 bit 4K video which can be converted to 10 bit 4:4:4 video. This is potentially better than the internal 8 bit 4:2:0 video the A7s offers. The A7s does 4:2:2 with an external recorder as mentioned as seems the way to go since that is how to get 4K video. As for line skipping that is impossible since both the A7s and GH4 both use the center 3840 x 2160 pixels for video output (GH4 has can do 4096 x 2160 too). If lines were skipped it could not be 4K. The downside of the GH4 is it adds more to the crop factor when shooting 4K. From EOSHD, "SLOG 2 is also a welcome addition. This is flatter than CineLikeD on the GH4 though I question the wisdom of shooting too flat with an 8bit codec." This is a common point mentioned about the A7s. Shooting flat is prefer by those who do a lot of grading, but only 8bits makes it more difficult because there is not at much information. Still, this is not a deal breaker. S-LOG 2 on the A7S is the most effective LOG picture profile that has ever been made available for any DSLR. It is better than Technicolor CineStyle on Canon DSLRs and better than CineLikeD on the GH4. The codec grades remarkably well without the usual banding over skies and heavy noise in the shadows. Only if you do something wrong in the grade or with your exposure do you get noisy shadows when shooting S-LOG. Otherwise the sensor is extremely clean at the native ISO of 3200. In fact it is so clean that at ISO 12,800 the image looks like ISO 800 on most other cameras. For me, creatively, this is a revelation. But :-) We can go on and on.. So this is it from me.. You can go on on your usual style w.r.t Sony E mounts. Good luck. "The ugliest 8bit banding is usually in much larger blocks than 4pixels, so rounding down, and even approximating pixels into a 10bit space won't help 8bit banding issues for the most part. Also, it does not increase color accuracy. " We can find agreement here relating to my first post. If Sony implements a FW update to support the standard XAVC instead of the consumer version on the A7s it would be less limiting (600mbps bit rate etc.) and make a lot of people happy, right? The internal 4K 8bit 4:2:0 on the Panasonic GH4 converts to 1080p 10bit 4:4:4 if you want and resolution is higher than most other1080p and moire is less. But really, why shoot 1080p when you can have 4K? That is the selling point of affordable cameras such as the Sony AX100, FZ1000 and GH4. 4k is a great selling point for the A7s too when you buy an external recorder. Those with $4000 to spend on a video camera body should really consider it. Stop repeating the lie. 4K 8bit 4:2:0 DOES not convert to real 10 bit 1080. There is no Hollywood movie, a commercial, or TV show that was released in 4K. A7s does do 4K with external recorder, but that is not the selling point. The selling point is that it does best 1080 video (for FF) with best low light (compared to any other camera, no matter what price). It was not EOSHD who found 4K 8 bit 4:2:0 converts to 1080p 10bit 4:4:4, but rather the CTO at CineForm. I am surprised you would say these guys who know more about this are spreading "a lie". Here is a test someone did too, "t's certainly sharper than 1080p 8it 4:2:0. It grades better as well"
You got it from EOSHD, as your link proves it. So I was right, and this claim is not true, as discussed here by pros. "The problem is not the 4k downscale, the problem is 4:2:0 AVC encoding throws away 90% + of your data. You don't get the benefit of oversampling in the color data. You do get better image resolution and cleaner images with fewer artifacts, but it won't help the color gamut and it doesn't give you more grading room. " You might want to go back and read that thread again. Nowhere does it say "the pros agree". Even the few posters who say you won't get true 10bit output say, "None of that is to say there isn't a benefit in moving 10 bit after acquisition - there is." and "Fully agreed - 4K 420 gives you 1920x1080 chroma samples - the same number as needed for 2K 444"
I posted an example above of someone putting this to the test and he reported "it's certainly sharper than 1080p 8bit 4:2:0. It grades better as well". There is clearly and advantage to the converted 4K video over 8-bit 1080p (everyone agrees with that) and we can let people like the CTO of Cineform decide and argue if it is really 10 bit 4:4:4. ""The problem is not the 4k downscale, the problem is 4:2:0 AVC encoding throws away 90% + of your data. You don't get the benefit of oversampling in the color data. You do get better image resolution and cleaner images with fewer artifacts, but it won't help the color gamut and it doesn't give you more grading room. " It's not true 10 bit. They must have wanted to film a black camaro in a cave. That's one capable camera! I'm excited about where Sony are going with their cameras. I've also got one of their RX cameras with me almost constantly. I still use the DSLR and MF formats as a matter of choice in certain situations, but Sony have certainly filled in a gap and offered possibilities that I didn't think I had before. It strikes me that we moan about the performance of cameras that previous generations of photographers could only dream about. We also dream of cameras now that future generations will moan about.